it's my girls' world: Hooray for Friday! Oh Friday!! I've not looked forward to you like this for a long time. And I haven't posted a Friday round up in a long time. I just might have forgotten how to do it. So after the weekend of birthday fun and cake and a pretty fun Easter, my friend Jenn convinced me, D and her husband to do a three day juice cleanse with her. It's quite controversial as there are many fans but just as many nay-sayers. I'd do anything once but I'd have to say I was the most hesitant participant trying to convince all parties involved to do only two days-- yeah, I failed. So for the past two days, we've been having 6 fresh, organic cold pressed juices (made by a local company) and lots of water. I'm not dying-- I mean I could eat a sandwich for sure but it's really not been as bad as I thought it would be. And I'm down 6 pounds in three days…. yeah I know it's a lot of water weight! If you're interested, I can provide more information. Not going to lie, this was totally me. And yeah, if I'm juicing again anytime this summer, this will be the twist. I think once a year is a good idea. If you missed reading about C's Carnival Party, here you go! Here also is probably my favourite pic of the birthday girl! Somebody is moving into her big girl bed this weekend and look at this adorable bedding her Mama ordered for her at PBK- with a 20% discount code of course!! (it's muted golden polka dots) with ballerina sheers. Love this …. who says it's only about the daddy/daughter bond?! This article has some amazing spring looks but this colour combo is my fave and has been floating around Pinterest for quite some time now! Love mint and taupe together with white! 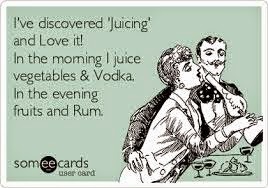 I'm intrigued by juicing, but have been very hesitant to pull the trigger. I'm impressed that you stuck with it but I don't think I would have the willpower! Hope you have a great weekend! That outfit is really cute! 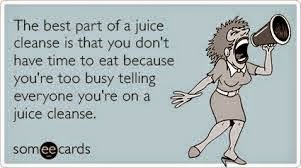 Props to you for sticking through the juice cleanse. The juices always look so yummy but I'm afraid I would starve and then go on a chocolate binge. Or maybe chips and queso. Good for you for sticking to it! I love mint anything...that is a great colour combo!